I thought it might be good to give a progress update on the Weekend Duffel project. I went to Fabric Outlet to find new lining fabric for both bags. For the yellow duffel, I found a gray quilting cotton that was a shade lighter than the gray cotton-poly which shrank to the point of being unusable. For the rocket blue duffel, In place of the navy blue lining I opted for a royal blue cotton-poly quiliting fabric which is a little bit lightweight, but was okay once interfaced. I ran both cuts of fabric through the washer/dryer twice, and ironed them with steam. I also pre-shrank the fusible interfacing, following the instructions given in the book Tailoring: The Classic Guide to Sewing the Perfect Jacket. Basically, you soak it in warm water, press between towels to get out the excess moisture, then lay aside to dry. This entry was posted in Bags and Cases, Notions and tagged Weekend Duffel on February 16, 2015 by mportuesisf. The Orange Flannel Shirt is finished! Overall, I’m pleased with the way it turned out. I bought a sampler pack of Gutermann threads from Joann’s with one of their famous 50% off coupons. It has 20 or so colors in it, including a shade of orange that perfectly matched my shirt fabric. 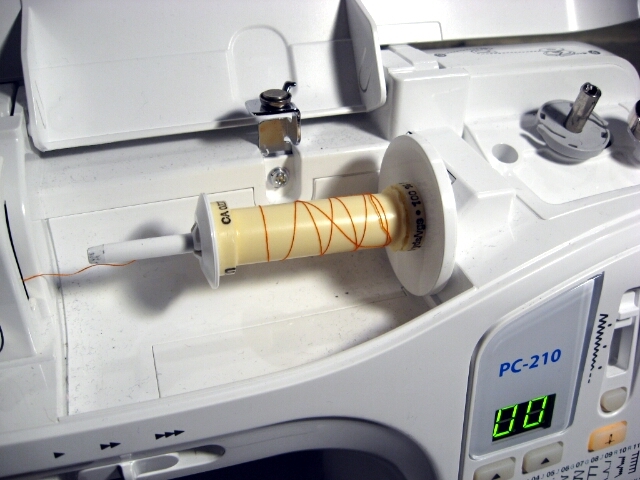 The problem is the spools have 100 yards (meters?) 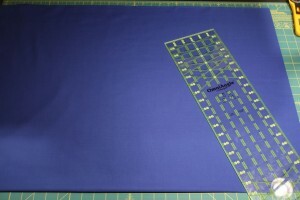 of thread, which is not enough for a decent sized project. 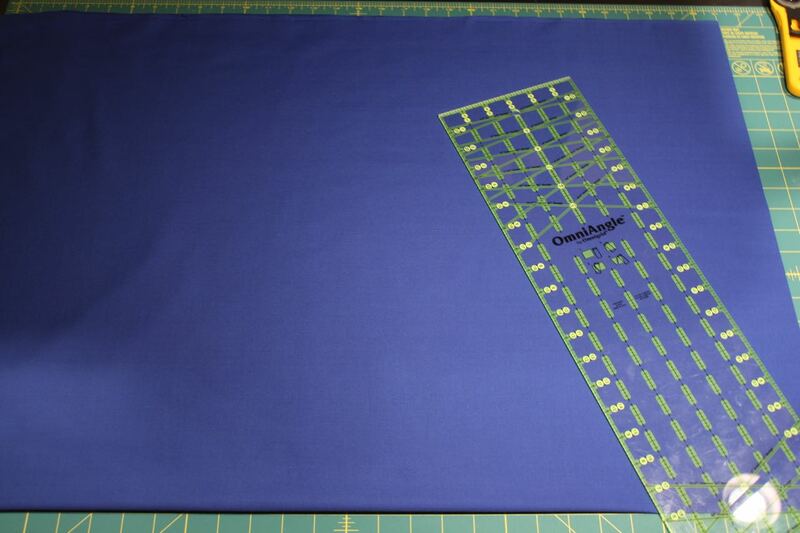 After getting the main body and sleeves together, I knew I was running out of thread. After finishing attaching and topstitching the cuffs, with the bottom hem and buttonholes remaining, this is how much thread I had left. This entry was posted in Completed Projects, Notions, Pattern Fitting, Shirts and tagged kwik-sew-2000 on December 15, 2013 by mportuesisf. Goodness, the Jeans project (well, my “muslin” at least) is almost complete! Today we’ll look at getting the buttons and rivets installed. Early on while making the jeans, I decided to skip the pattern instructions to bartack the pocket openings, in favor of rivets – to try to look more like the “famous maker” jeans we’re all familiar with. Plus, installing the rivets is something new to learn. I found some some excellent tutorials on the internet to help me install my rivets. BrianSews! has a three-part YouTube video tutorial which shows how to install the rivets as well the “tack button” which closes the waistband. TaylorTailor also has a nice rivets tutorial. Be sure to check out the comments in this article for more tips and troubleshooting suggestions. It’s worth noting Taylor runs a small supply shop from his website that sells supplies for jeans making, including professional-quality rivets. 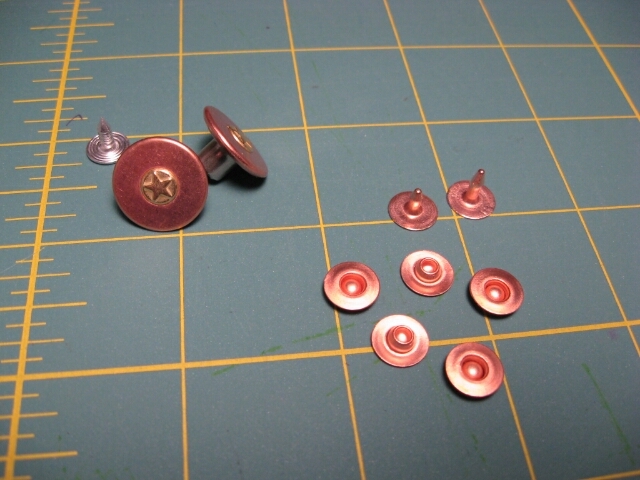 Based on the recommendation in the BrianSews video, I ordered a batch of copper rivets and matching tack buttons from Grommet Mart. This entry was posted in Notions, Trousers and tagged Jeans on July 7, 2013 by mportuesisf. It lives! 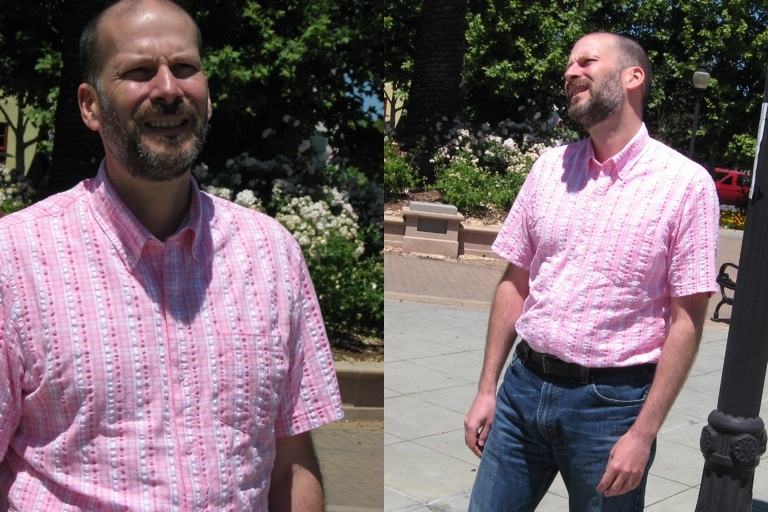 My Springtime Seersucker Shirt has been completed, and it’s still technically springtime! 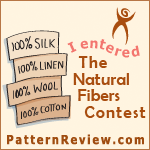 And I’m also pleased that I made the deadline for submitting my shirt to PatternReview.com’s Natural Fibers Contest. This entry was posted in Completed Projects, Fabrics, Notions, Shirts and tagged mccalls-6044 on May 31, 2013 by mportuesisf.